George and his mother, Efrance, travelled for five hours to get to the hospital to have his casts removed. Both of them were all smiles as they entered the hospital. They could hardly contain their excitement. He can hardly wait to see his straightened left foot, a month after surgery. While casts were put on both feet to straighten them, only the left foot had the surgery at this point. The next step is for his right foot to also undergo the surgery. In the meantime… he will have to wear a brace on his left foot to support and continue the straightening of his foot. 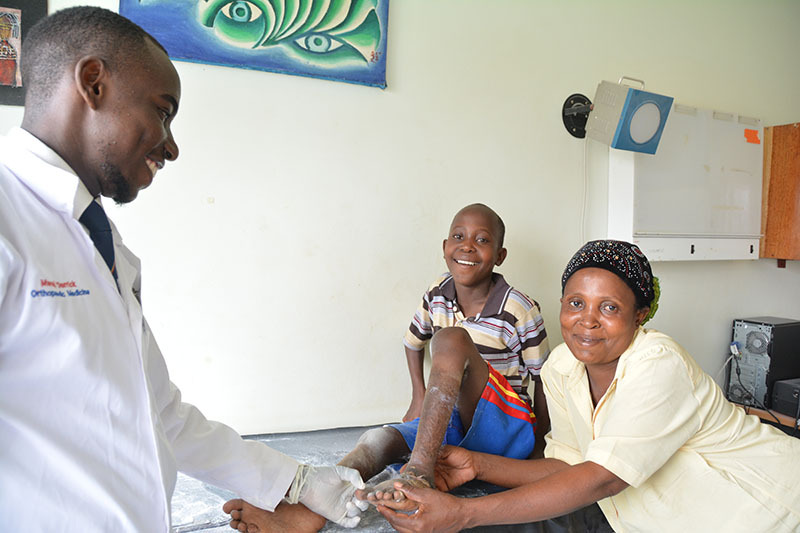 Once the casts were cut off of both his feet, mother and son were ecstatic! How often are children born with clubfoot?